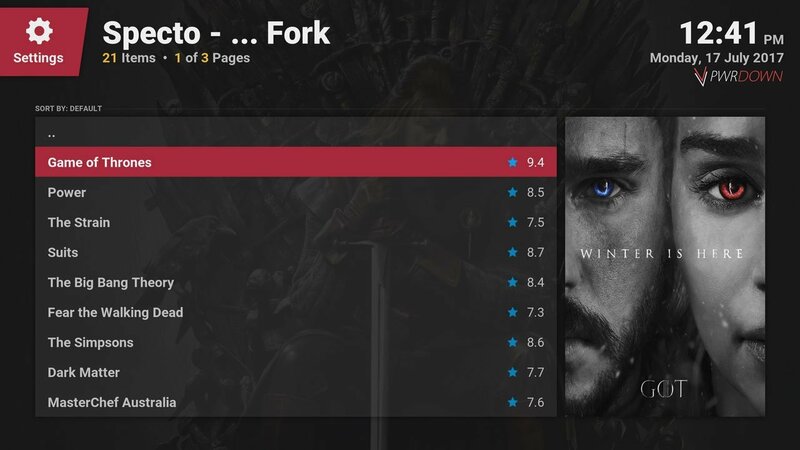 In this post, we’re going to show you our Top 10 picks for the Best Kodi add-ons for TV Shows. 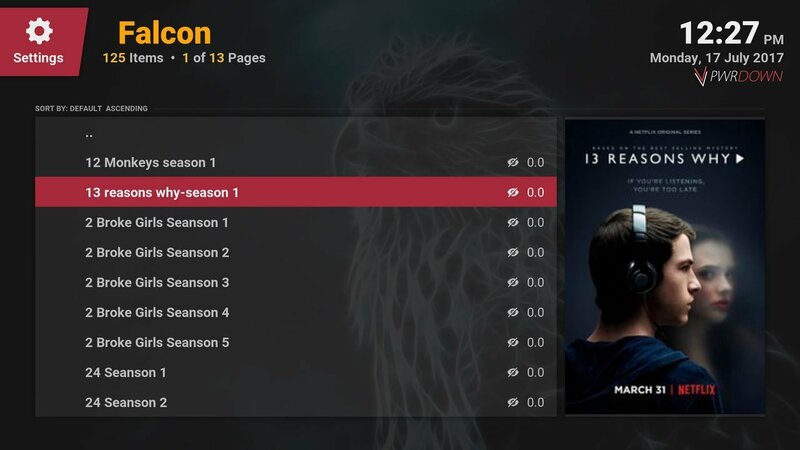 There are so many different add-ons that provide streams for TV Shows in Kodi, however only a select few contain quality content and are of a high quality. If you enjoyed this post, take a look at our Top 10 Live TV add-ons for Kodi too. Or our Top 10 Kodi add-ons for Sports! We’ll be updating this list as time goes on. If you have any recommendations or think we’ve missed a certain add-on, let us know in the comments below. Allow access to blocked content from other countries. This add-on is mainly for UK users, however it can be accessed from other countries using a VPN such as IPVanish. iPlayer WWW provides high quality, legal streams straight from the BBC, including shows and documentaries such as Doctor Who and Eastenders. It’s a must have for most, as it’s content is provided by the BBC so it’s of a very high quality! 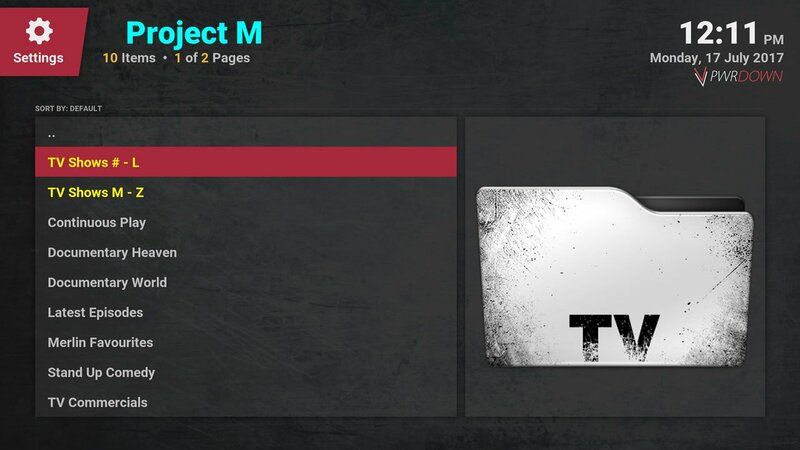 Project M has a large selection of TV Shows ready and available to stream. TV Shows are just in a long list, however they’re are a few extra categories you can look at. Including Documentary World, Documentary Heaven, Latest Episodes, Merlin Favourites, Stand up comedy and TV Commercials. 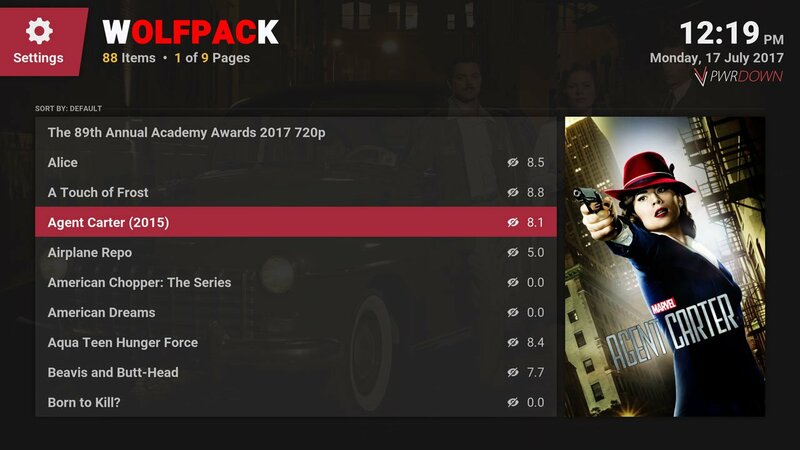 Wolfpack also has it’s own TV Show collection. It has two main sections, ‘Specialist TV Shows’ and ‘Beau’s Shows’. Again, all the TV Shows are in one long list. There are 88 TV Shows in the Specialist TV Shows section. In Beau’s Shows, you can find 24/7 shows, YouTube TV, adult cartons and 292 extra TV Shows. Bob Unrestricted is a great provider for TV Shows. It has a kids area called ‘Tiny Tikes’, where it’s all kids TV Shows. 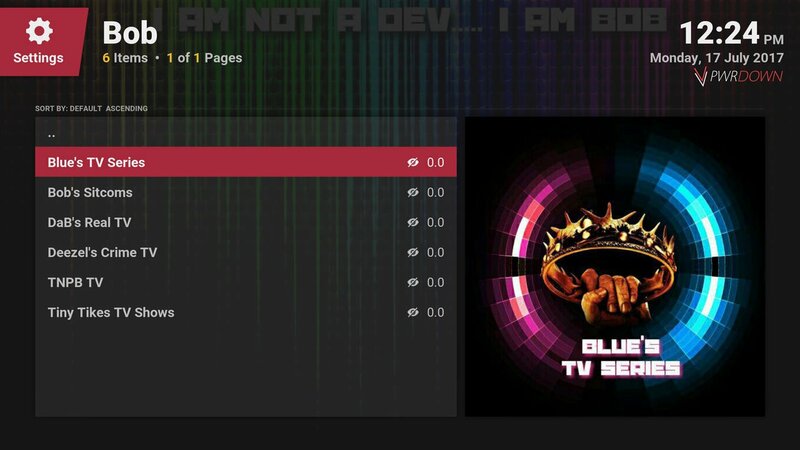 In Blue’s TV Series area, you’ll find 252 epic shows. There are also a few extra categories such as Bob’s Sitcoms, DaB’s Real TV, Deezel’s Crime TV and TNPB TV. 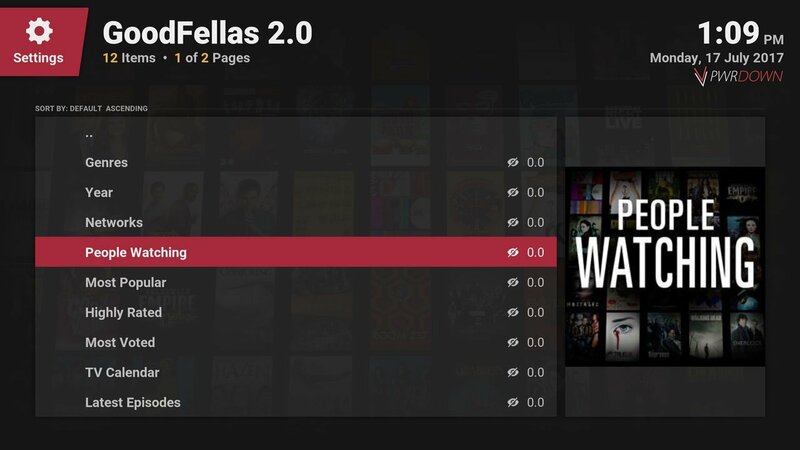 Goodfellas 2.0 is primarily a Live TV add-on for Kodi, however it does have sections for Movies and TV Shows. It’s pretty similar to Specto fork. As well as the TV Shows section there is a 24/7 section, where random episodes of certain shows will play. However these weren’t working at the time of posting this article. The Falcon add-on hosts a few TV Shows. However it’s a lot less unorganised than some other add-ons. It’s hard to tell how many shows it has total, due to it having all the seasons in the same folder. I’d estimate there to be between 30 and 40. However with this add-on, there is no source selection. You can just pick a file and play. Specto Fork is a big contender with some of the top add-ons, and a personal favourite to many. 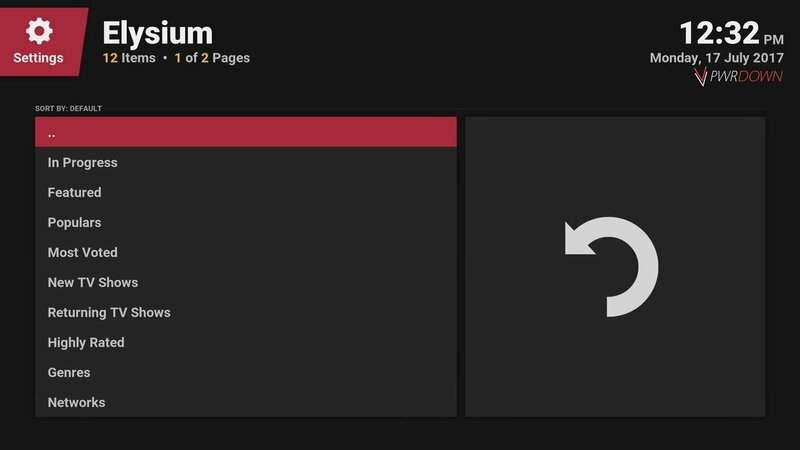 It has streams for TV Shows and Movies, and has some integrated tools such as downloading and favourites. The streams are quite fast to load into, and also of a high quality. 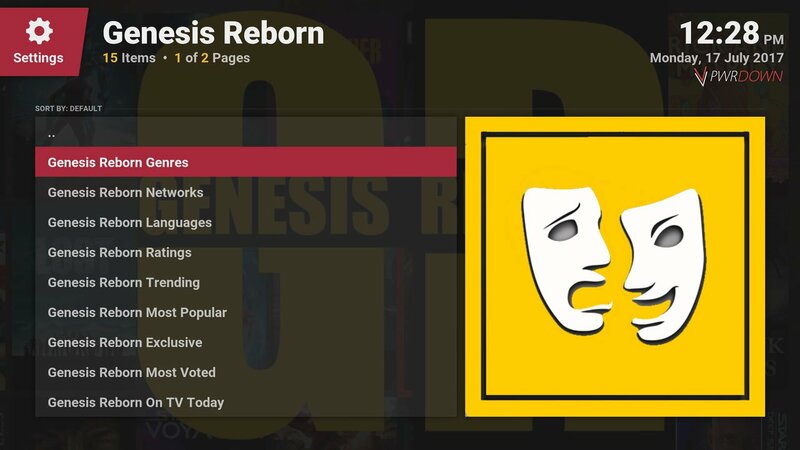 Genesis Reborn is very organised when it comes to TV Shows. 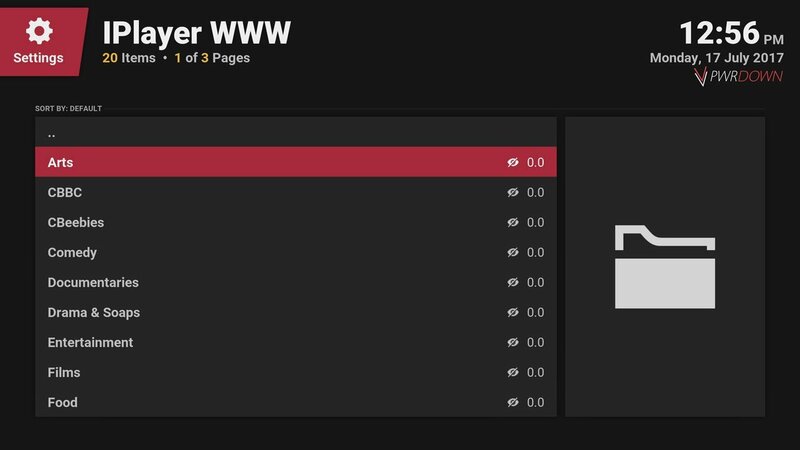 You can sort by Genre, people watching, and integrate your IMDB and Trakt accounts. It’s very similar to Exodus and Elysium. The sources are always reliable and of a high quality, so you should definitely consider trying this add-on out. Again, it’s really hard to compare and choose the best out of Genesis Reborn, Elysium and Exodus as they’re all similar layout and content wise. What I do like about this add-on however, is it’s source selection screen. It uses large fan art when providing you sources, keeping the add-on looking nice. Again, it has account integration so you can carry over your watch lists. Exodus was always going to be at the top. It’s the most popular add-on when it comes to Movies and TV Shows by far, and is awfully reliable. That doesn’t mean you shouldn’t at least try out some of the other suggestions in this list though. 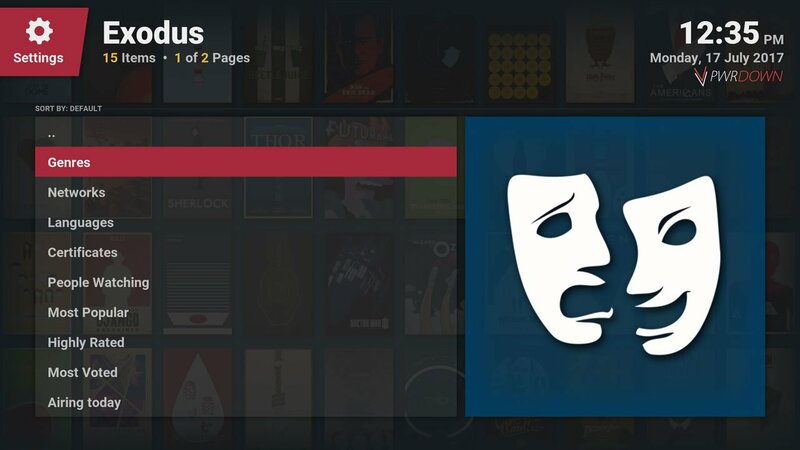 Exodus brings a lot of great TV Shows to your Kodi setup, all in high quality with reliable sources. You can also set up account integration.